Quarterback Sam Darnold has officially been ruled doubtful for the New York Jets on Sunday afternoon, per the team’s official injury report released on Friday. Darnold, the third overall pick in April’s draft, will likely sit out due to injury for the first time in his career. Officially listed with a foot injury, he did not practice all week, relegated to observing preparation for a Sunday afternoon tilt against the Buffalo Bills (1:00 p.m. ET, CBS) clad in a boot on his right foot. 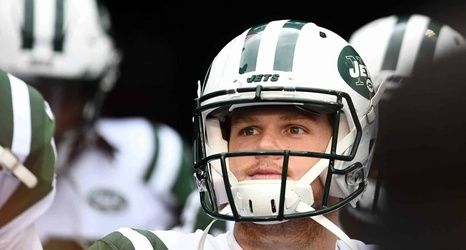 Thus far on the season, Darnold has thrown for 1,934 yards and 11 touchdowns, leading all rookie quarterbacks, but his 14 interceptions lead the league as a whole.